INDIANAPOLIS, July 5, 2011: Peter Dempsey will join Stefan Wilson at this weekend's Honda Indy Toronto to compete for Andretti Autosport's first Firestone Indy Lights win of the 2011 season. Dempsey, a 25-year-old from Ireland, has three top-10 results, including two podium finishes, in four starts in the current Firestone Indy Lights season. He sits 11th in the championship point standings after competing with O2 Racing Technology. Dempsey began racing go-karts at the age of 8, eventually moving into the Formula Ford Series in 2004. In his first full year in the series, he won 33 out of the 43 races he competed in and became the Northern Irish Formula Ford 1600 champion. He was also named Motorsport Ireland's Young Racing Driver of the Year Award winner in 2005 and 2008. After much success in the UK, Dempsey moved to the United States to compete in the Star Mazda Championship in 2008, recording four wins in his first season, and continued his success the following year with a second place championship finish. His teammate, Stefan Wilson, has recorded three top-five finishes in six starts so far this season with Andretti Autosport. Wilson is currently in fourth place in championship points. The Firestone Indy Lights race will air live on Sunday, July 10 at noon (Eastern) on VERSUS. PETER DEMPSEY, DRIVER: "I'm really looking forward to getting back on track. 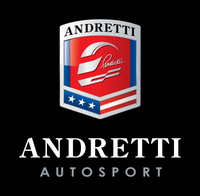 I'm grateful for this opportunity at Andretti Autosport, and I'll be working hard to put out a good result in Toronto. It's been a great experience just prepping with the team for this weekend, so I know it can only get better from here. I would like to thank my supporters Motorsport Ireland and Microbiology International for their continued support this season." STEFAN WILSON, DRIVER: "I'm very excited to go back to Toronto. We ended up having the fastest race lap there last year. We just want to start the race weekend well, and obviously qualifying is important. It's a circuit I really like and one you can race on, so it's fun as a driver. As a team, we need to recover from the last few weekends' results to get back in the championship fight. It will be great to have a teammate so we can work together for our first win." J-F THORMANN, EXECUTIVE VICE PRESIDENT AND CHIEF OPERATING OFFICER: "We're glad to have Peter with us this weekend in Toronto. With him and Stefan working together, I think we'll have a strong team effort and a great chance to go for the win."